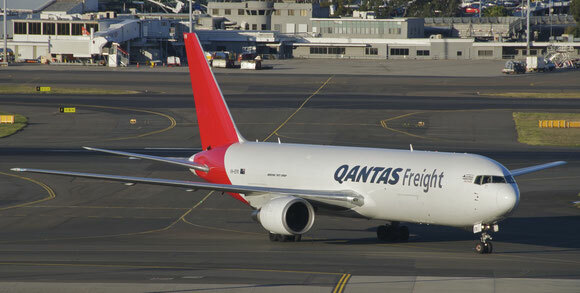 Qantas Freight has signed a partnership deal with VAN Dairy, Australia's oldest and largest dairy operation in Tasmania, to carry more than 50,000 litres of fresh milk on a weekly B767-300 freighter service between Hobart and Ningbo, the second largest city in the Zhejiang Province, China. Subject to government and regulatory approvals, the milk run will commence in the first half of 2017. VAN Diary is a subsidiary of Chinese-owned Moon Lake Investments, which in 2015 acquired the dairy operations, comprising 25 farms, from Van Diemen's Land Company (VDL) for NZ$307 million (US$216m). Moon Lake Investments, is an Australia-registered company set up as a vehicle specifically for the acquisition of the farms. The sole owner of Moon Lake is Lu Xianfeng, a Chinese businessman who already has an interest in a range of industries and businesses in Australia. For the new milk run, Moon Lake has chosen Ningbo and China’s capital Beijing as the initial distribution areas, where local Chinese distributors will truck the milk to supermarkets and convenience stores. The company plans to extend VAN Dairy’s market reach to Shanghai, Hangzhou and other cities after the product is established. Australia is expecting to generate more than US$245m from dairy exports to China this year, with industry body Dairy Australia reporting growth of more than 46% since 2011.